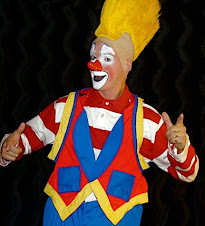 The other day I posted a photo of The Bario family of clowns and traffic here on the blogsite dropped by 30%. 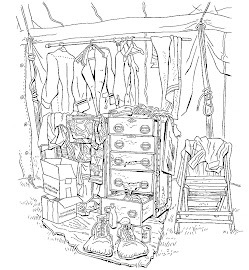 Here's more on the family in the hopes that the more we know about them, the more we will appreciate and love them...or perhaps traffic here will now drop by 40%, who knows? 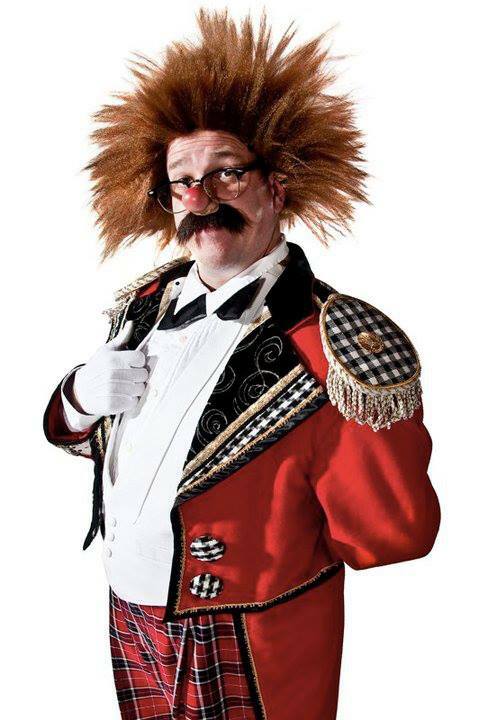 One of the most celebrated European musical clown families is that of the Barios. The brothers Dario and Manrico Meschi came originally from Livorno. Dario was the whiteface clown, while Manrico was the auguste who took the name of Bario. 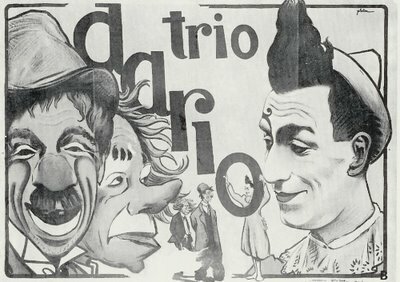 They worked with a number of other famous clowns, among them Cerratto, Charley Iiles and Rhum, but it is as the Trio Dario , the Dario, Bario Company or Bario-Barios that they are best remembered. They were greatly influenced by their Parisian contemporaries, the Trio Fratellini, with whom they were to share equal standing in their profession. Dario and Manrico were later joined by their children, Nello, Swedish-born son of Bario born in 1918, Willy, Dario’s son born in Paris in 1920, Freddy, Bario’s second son born in Brussels in 1922 and his daughter Tosca, born in Nancy in 1924. 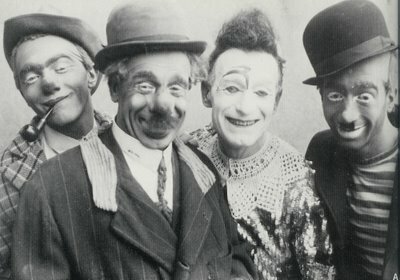 In postwar years, the equipe consisted of Bario, sons Nello and Freddy (the latter as whiteface clown, replacing Dario), and Henny, Freddy’s wife, who replaced Tosca. 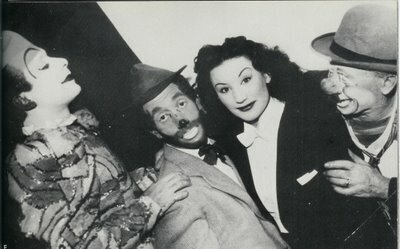 Bario, born in 1888, died in 1974, leaving Nello, Freddy and Henny to continue the family clowning traditions together. Not only are they all fine musicians and comics, they are also adept as dancers and have gained fame in France on television. Although they have appeared in many countries, with several summer seasons in England at the Great Yarmouth Hippodrome, it is in France that they are most loved, and they returned to the circus ring there in 1984 with the Cirque Nouveau Jean Richard.